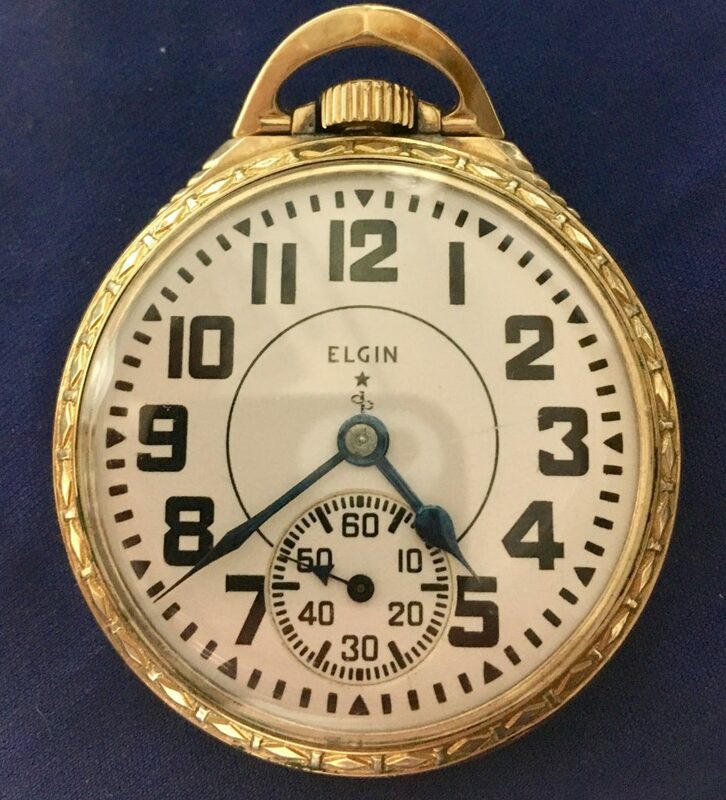 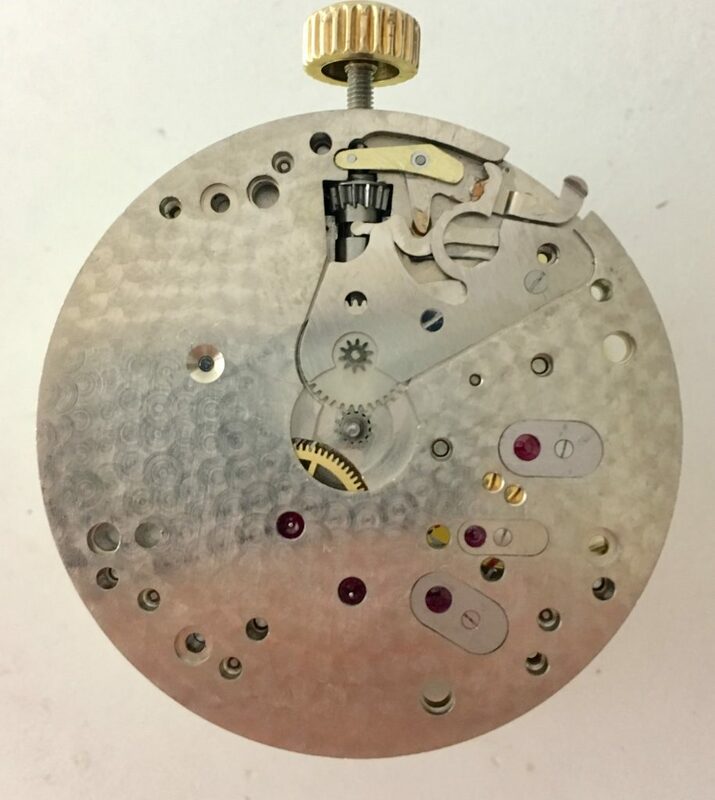 The Elgin 571, one of the last Railroad pocket watches produced by Elgin (manufactured around 1948). 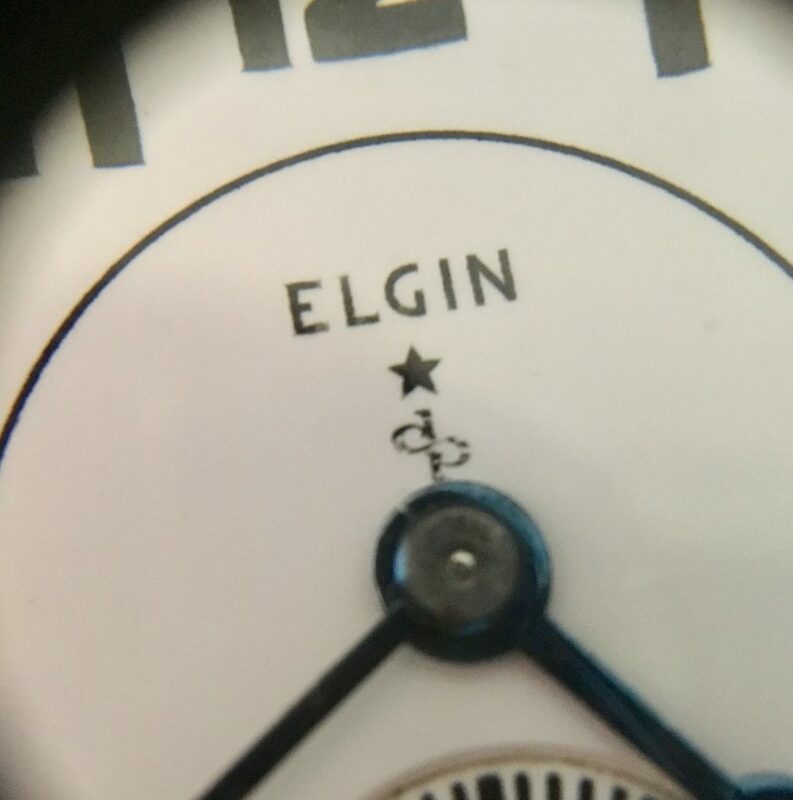 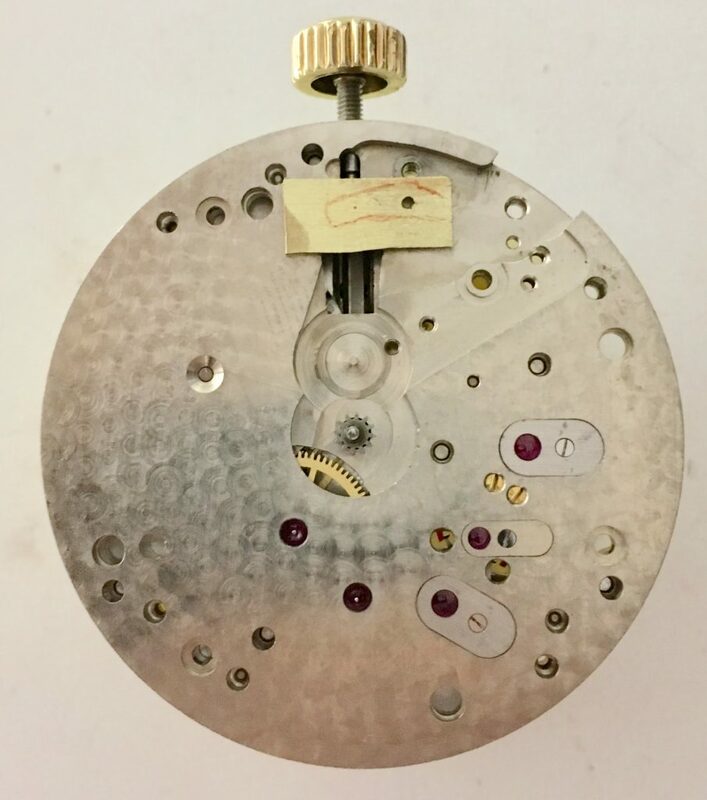 The “dp” on the dial (see picture at bottom of page) refers to “DuraPower”, Elgin’s version of the “white aloy” mainspring. 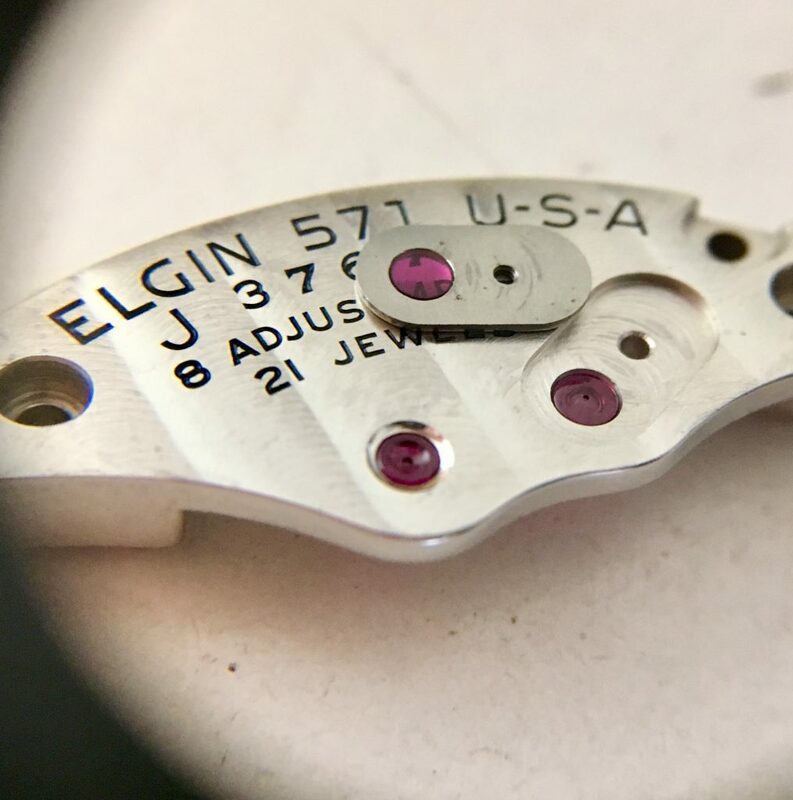 It was made of “Elgiloy” (Trademarked by Elgin of course) Guaranteed not to break or rust. 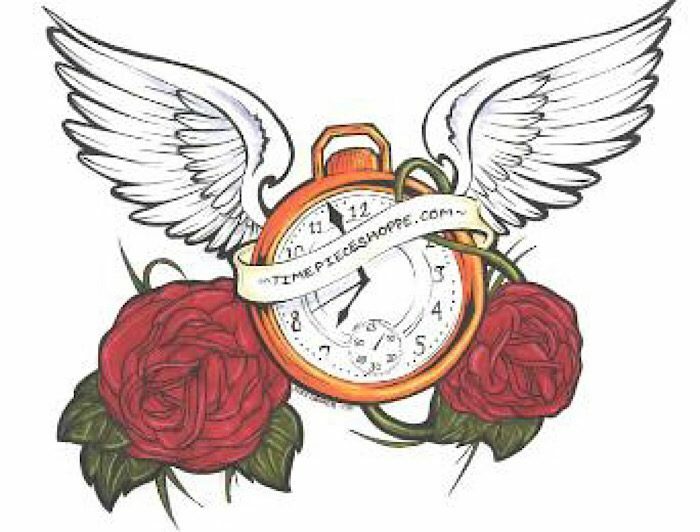 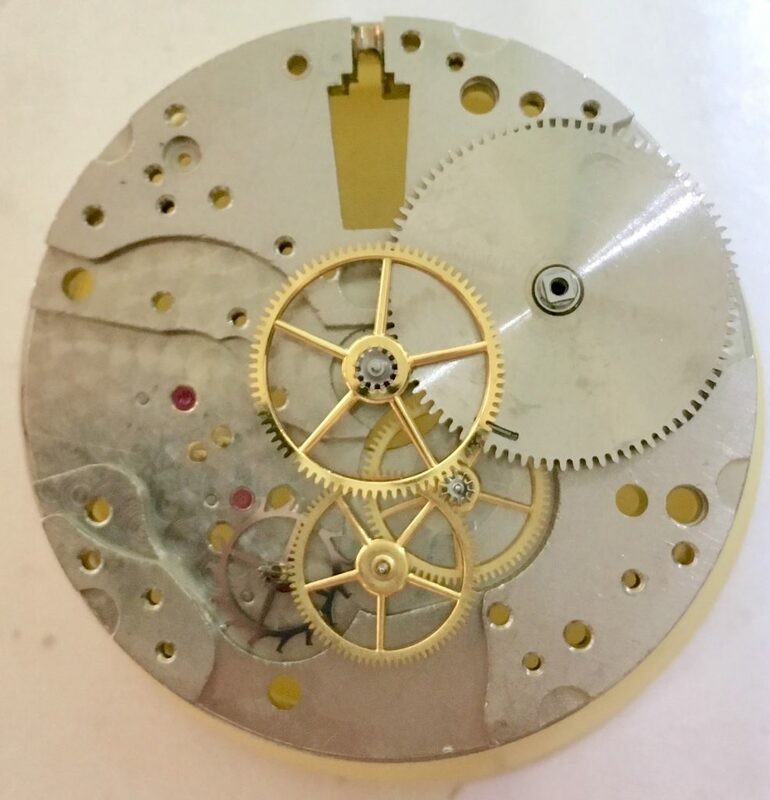 It is a fine quality watch in excellent condition. 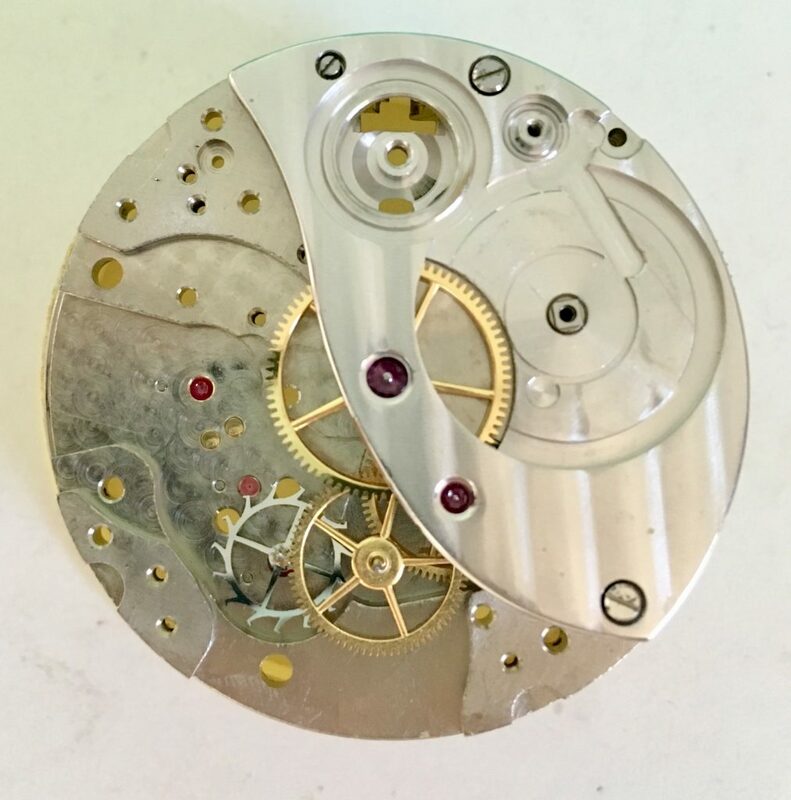 A complete service and some repair was needed. 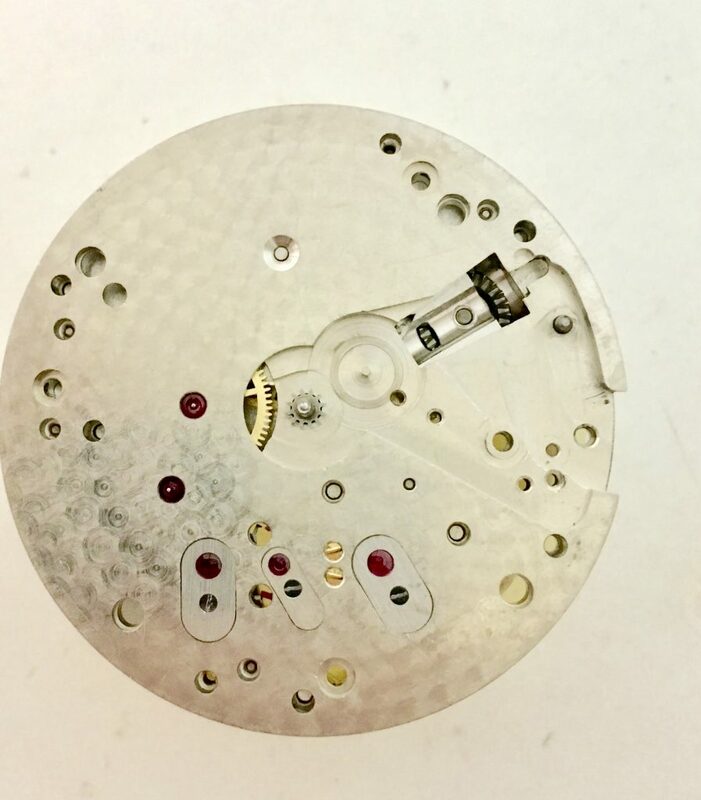 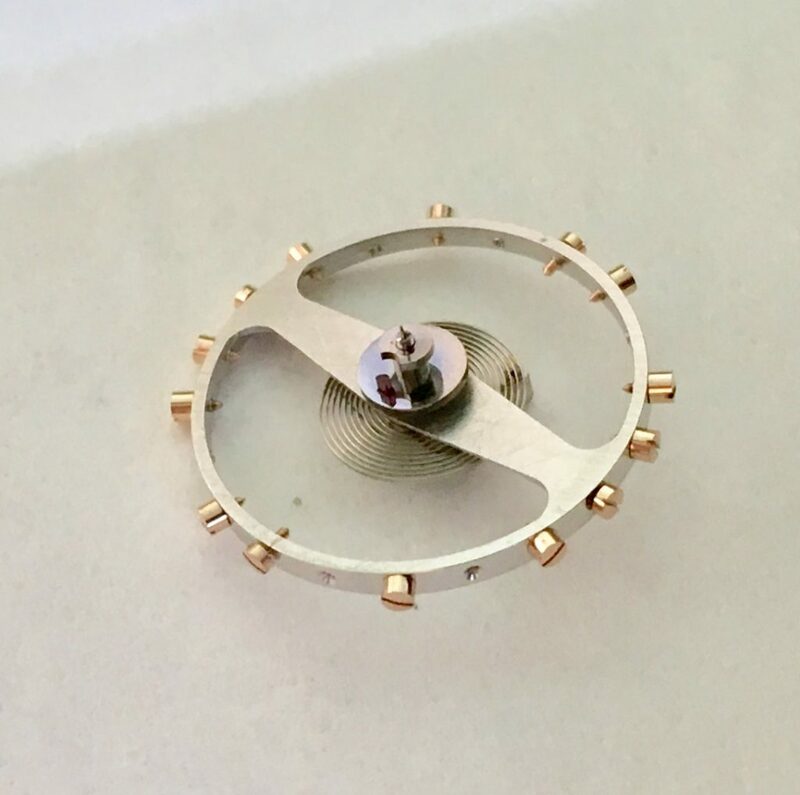 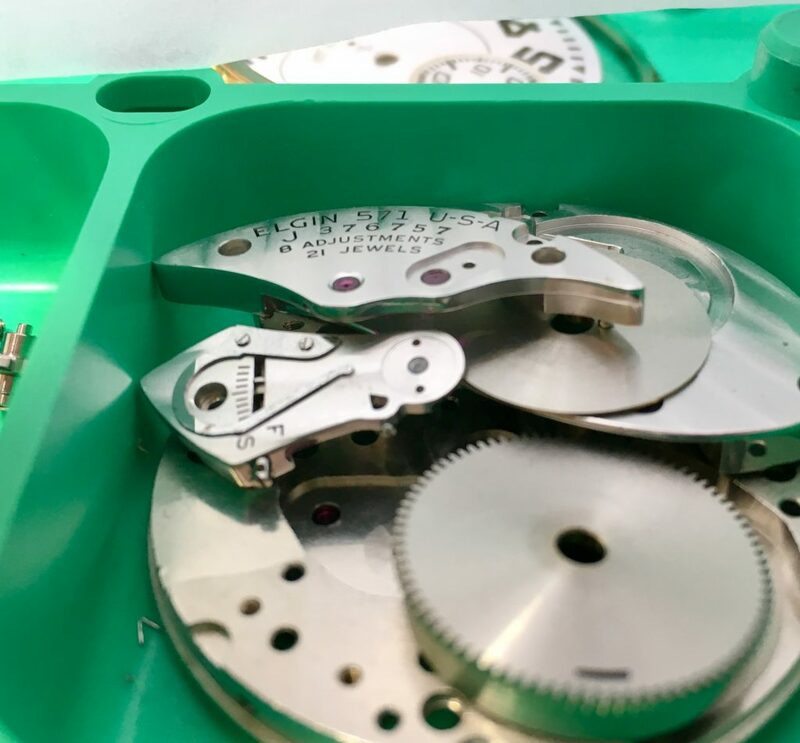 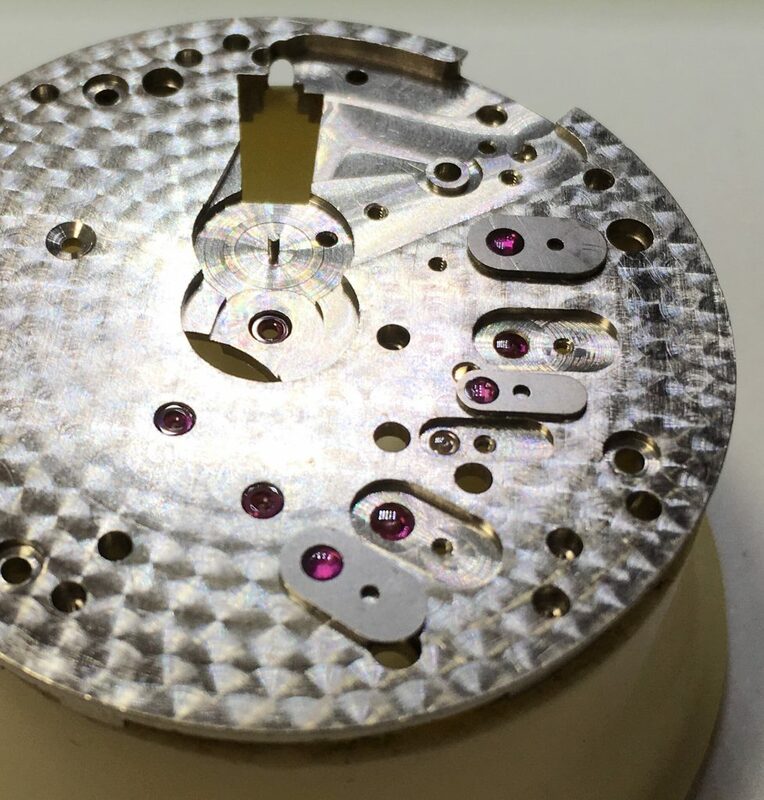 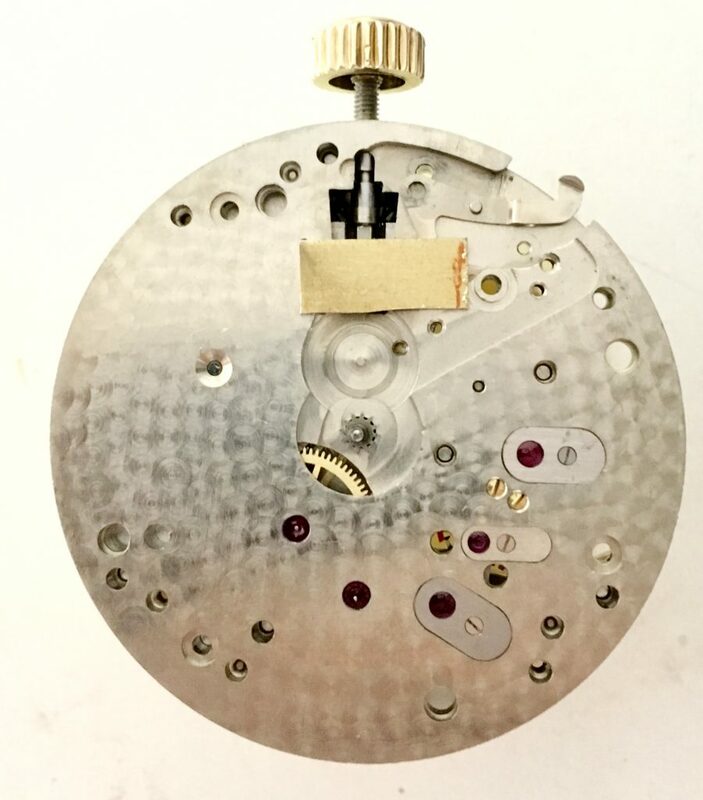 The stem is removed by loosening the small screw on the back plate before the movement can be uncased. 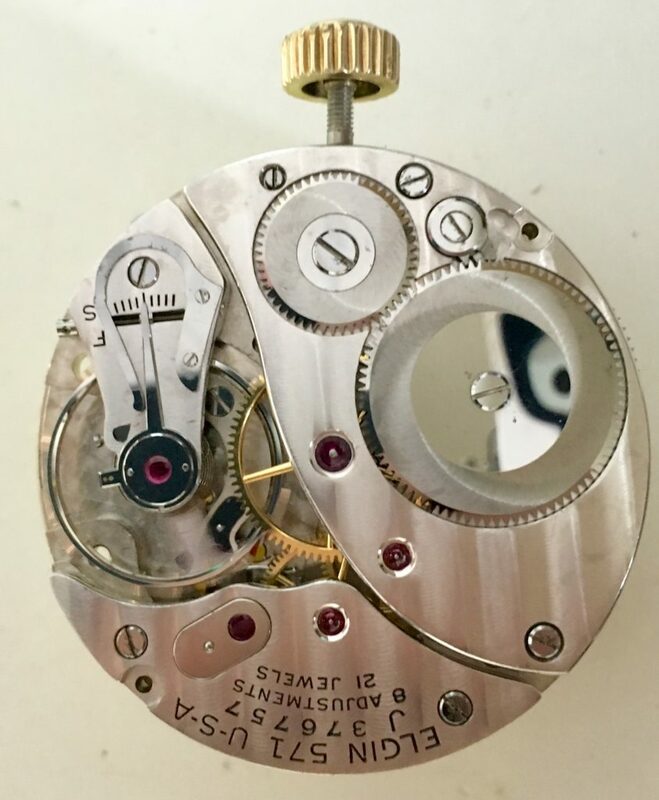 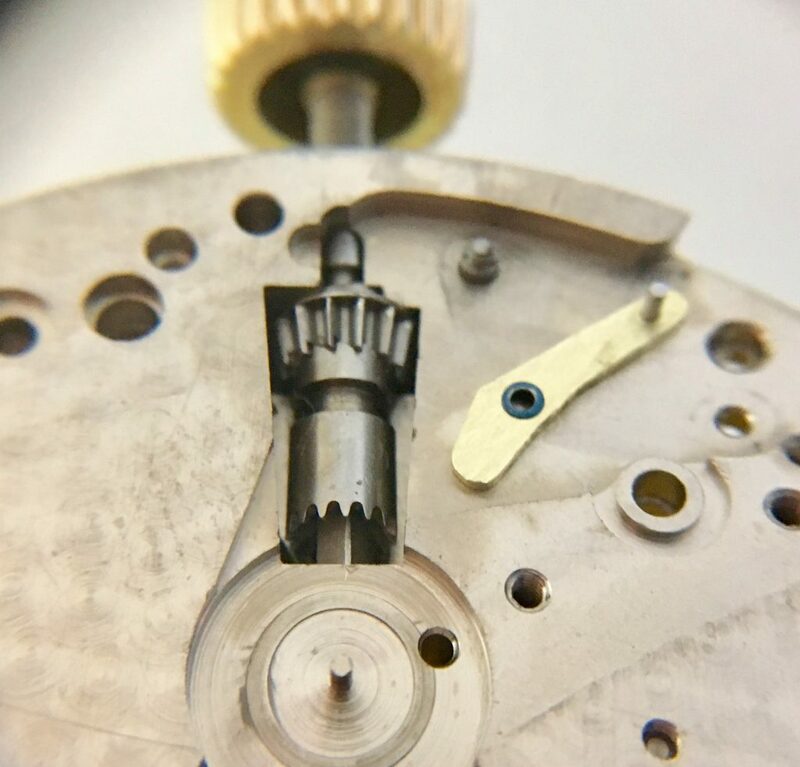 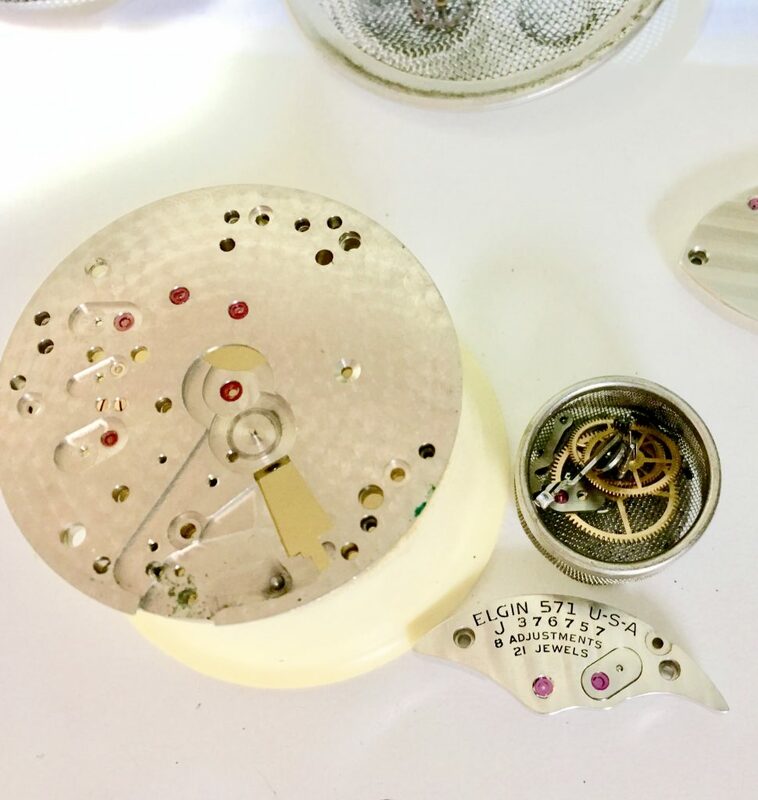 Although a lever set watch, the stem was often mistakenly pulled out to try to set the watch. 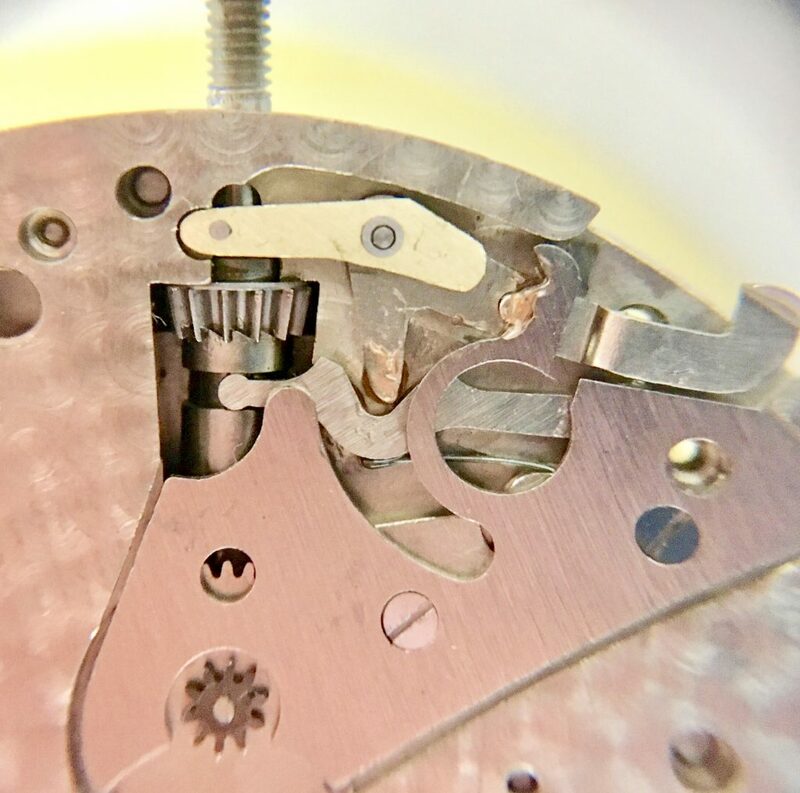 The lever that held the stem in was subsequently broken. 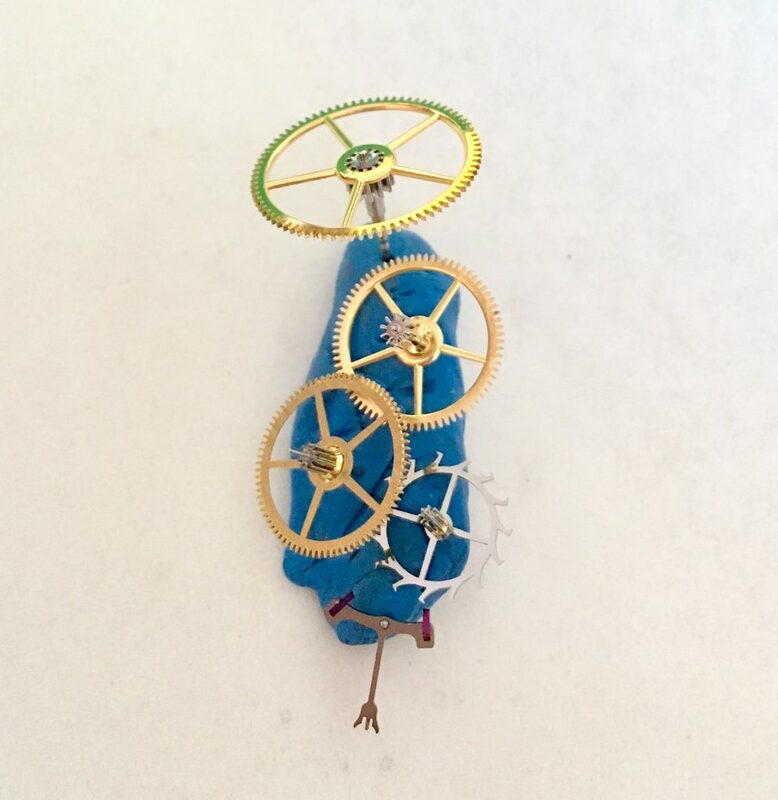 This watch was missing he entire lever, and a new one had to be made. 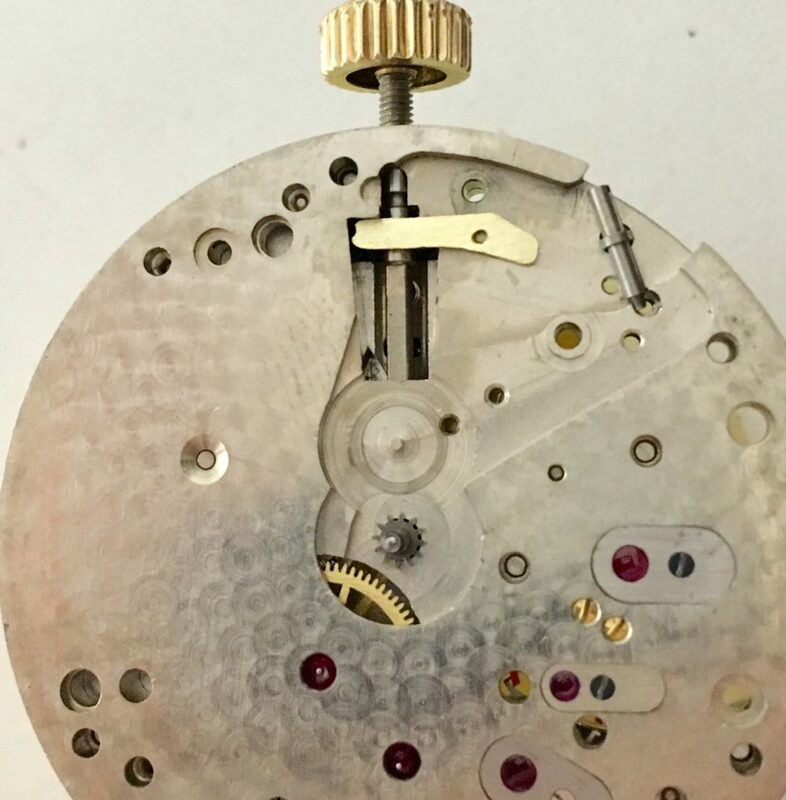 For ease of manufacture, the lever was formed out of brass, and a steel pin and threaded bushing were pressed into the lever. 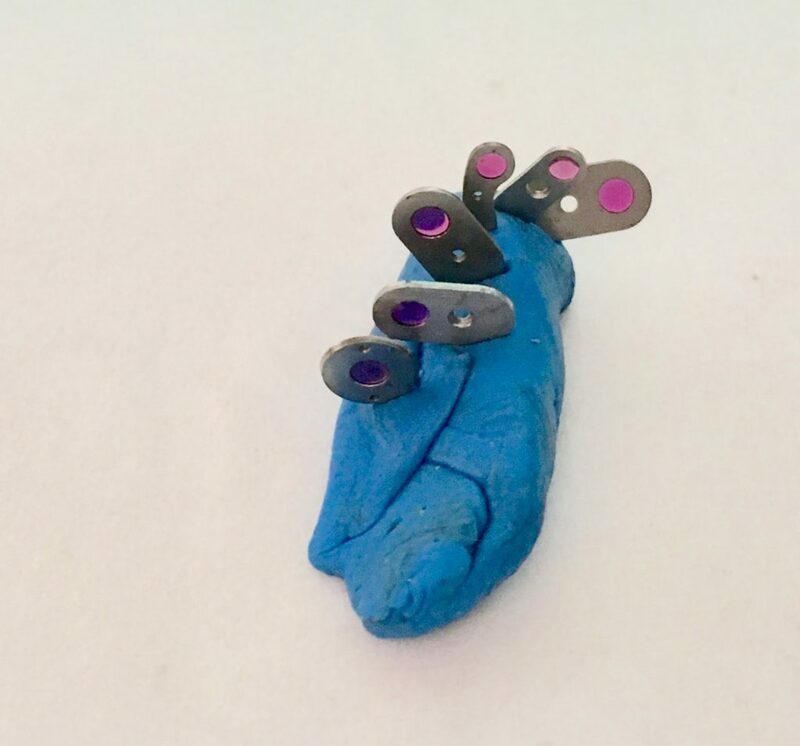 The photos below sequence the process. 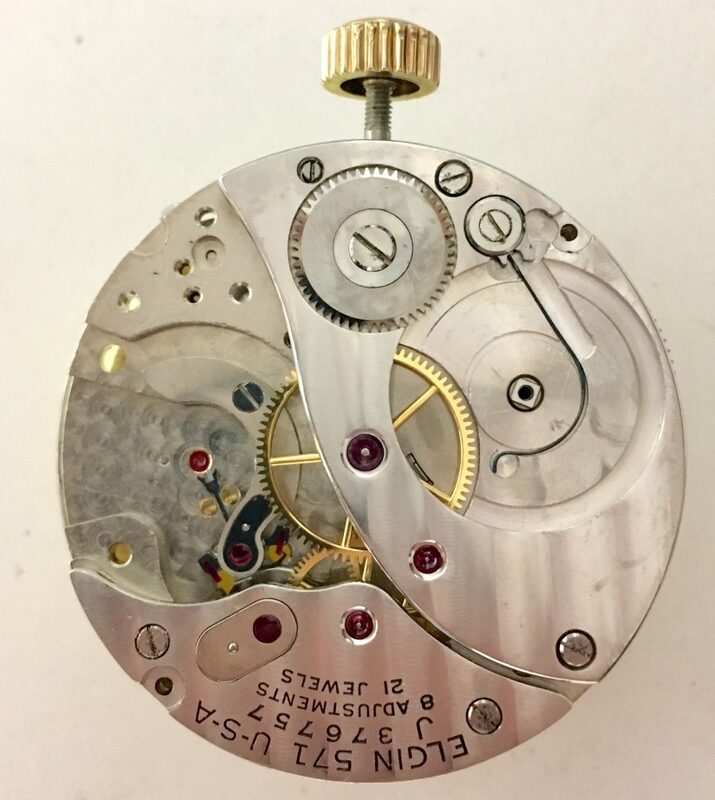 The watch is the assembled, oiled, and timed, achieving an excellent rate over 6 positions.